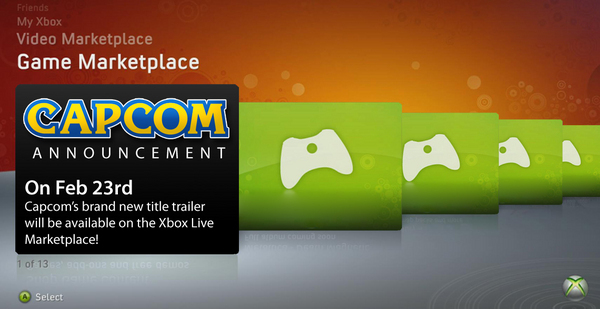 Today has brought a lot of activity happening in the Xbox Live Marketplace. We have a couple demos out today and an add-on for an already released game. Lets get down to it! --The Guitar Hero Warriors of Rock demo is available via the Marketplace for free. Click the following link to send it to your Xbox for download, or head to the Marketplace to download it there - marketplace.xbox.com/en-US/gam... ... n&p=1&of=6. --The R.U.S.E. demo is also available via the Marketplace for free. Click the following link again to send it to your Xbox for download, or do as instructed before and head to the Marketplace to download it there - marketplace.xbox.com/games/off... ... ajornelson. --Transformers: War for Cybertron has its second Map and Character Pack out today for 800 Microsoft Points. Details on that pack are below in the box. Become the ultimate weapon and wage war in FIVE new maps � engage in multiplayer combat in HORIZON, SECTOR, and METROPOLIS or fend off waves of Autobots in STATIC, and Decepticons in PULSE, two new Escalation mode maps. Also gain access to 2 new characters and their chassis for use in Escalation mode and Multiplayer character creation; ZETA PRIME� and DEAD END� are ready for battle. Fight to the end in the war that started it all! --In a last bit of Marketplace news, Dead Rising: Case Zero has already sold 300,000 copies after only being out for a short time on the Xbox Live Marketplace.